2017 is the 10th year since Apple’s iPhone has been brought to the market, and to celebrate the 10th anniversary, iPhone X, iPhone 8/8 Plus, or iPhone X (not sure what Apple will name it), is specially redesigned every aspect and has huge changes compared with previous iPhone 7/6/5/4 series. Now let’s check whether the newest iPhone X, iPhone 8/8 Plus rumors 2017 are reliable. Moving from the traditional LCD screen to the edge-to-edge OLED display will be a prominent upgrade for iPhone X, iPhone 8/8 Plus, and Samsung, who has developed the mature technology on curved screen, reportedly would deliver 80 million OLED displays for iPhone X, iPhone 8/8 Plus by the end of 2017. The OLED panel provides better control of the color temperature, brightness, resolution ratio while lower thickness and weight. However, it’s more likely to be damaged by water. 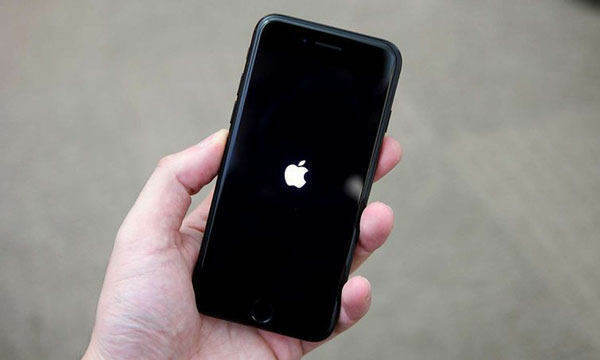 Apple is now working on this issue. Instead of the metal case, the next generation iPhone X, iPhone 8/8 Plus will come in with all glass body like what iPhone 4 and 4S did. Hopefully, it will be stronger enough to prevent cracks. Two versions of iPhone X, iPhone 8/8 Plus rumored Touch ID controverts continuously on the Internet, one is embedded in the OLED screen and the other is located on the back. It sounds reasonable for iPhone X, iPhone 8/8 Plus touch ID on back housing since there is no extra space to place the home button, but one thing we have kept close track with is no home button on iPhone X, iPhone 8/8 Plus is available, and believe it or not, there is great possibility that Apple will build the Touch ID sensor directly into the display. After all, Apple has been studying Touch and Display Integration chips since 2015. Reliable news from Taiwan supply chain and Korea LG Innotek suggests Apple’s new iPhone X, iPhone 8/8 Plus will include a 3D camera module capable of facial recognition and an iris scanner sensor in the front. The revolutionary front camera can sense the 3D space ahead and provide information to applications using face recognition, like Apple Pay. Meanwhile, Iris scanning will complete Touch ID when it doesn’t work under wet conditions. Many experts believe it’s will be more secure than Touch ID for a person’s iris contains a complex and random pattern differing with each individual. Another iPhone X, iPhone 8/8 Plus rumors leaked is about wireless charging feature, and many Apple iPhone X, iPhone 8/8 Plus images spread online to prove the truth. Earlier rumors indicated that Apple would adopt a long-range wireless charging technology in 2017, but the latest speculation about iPhone X, iPhone 8/8 Plus is it will use induction type of charge mode, similar to Apple Watch. Likely, the wireless charging zone will locate on the back, and with all-glass design it will be easier for next iPhone to support the function. From mouth to mouth it’s said that Apple is testing 3 sizes of display: 4.7 inches, 5.5 inches, and 5.8 inches. Considering the edge-to-edge display, glass body and home button, the 5.8-inch OLED design will match up with new iPhone X, iPhone 8/8 Plus most. Based on the leaked prototype drawings, it measures 143.5 x 70.9 x 7.7 mm. Around the full screen a narrow 4 mm space is reserved at the edge, along with 2.5D curved glass. For iPhone X, iPhone 8/8 Plus weight, no detailed information are found yet, but the industry in general believes it will be heavier than iPhone 7 (138 grams/4.87 ounces) and iPhone 7 Plus (188 grams/6.63 ounces). Due to the complicated technology newly added this year, Apple iPhone X, iPhone 8/8 Plus launch date to a large degree will be delayed. iPhone X, iPhone 8/8 Plus rumored release date on the Internet is the late September, 2017, maybe 22nd Sep or later. Also, for advanced Touch ID, OLED Screen and else, the cost will greatly be increased. We expect the iPhone X, iPhone 8/8 Plus may break the $ 1000 price barrier. Are you ready to get a new iPhone now? After WWDC, there is no doubt that 2017’s iPhone X, iPhone 8/8 Plus or iPhone X will come with new iOS 11 preinstalled. It’s announced officially as a giant step for iOS devices. You can now have access the iOS 11 beta version to see what changes it has. >> To preview what’s new in iOS 11, please click here. >> To upgrade and install iOS 11 beta on your iPhone/iPad, please visit here. USB-C VS Lightening: Some rumors suggest iPhone would replace Lightning port with a USB-C port. Enhanced Waterproof: Water resistance or dust-proof ability will be strengthened in iPhone X, iPhone 8/8 Plus. Vertical Dual cameras: A vertically-stacked dual rear camera module will be built in this year. If you are ready to abandon your iPhone 7/7 Plus/6/6s/5/4 and buy a new iPhone X, iPhone 8/8 Plus, there will be a lot of files need migrating between two devices. 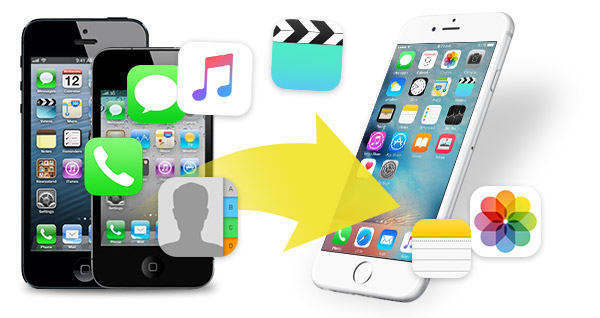 Instead of backing up with iTunes/iCloud and later restore these data back, I shall recommend you an iOS file transferring software Tenorshare iCareFone. With it you can easily export and import any data not only between iOS devices and computers, but also iPhone to iPhone/iPad/Android phones/External storage, and vice versa.